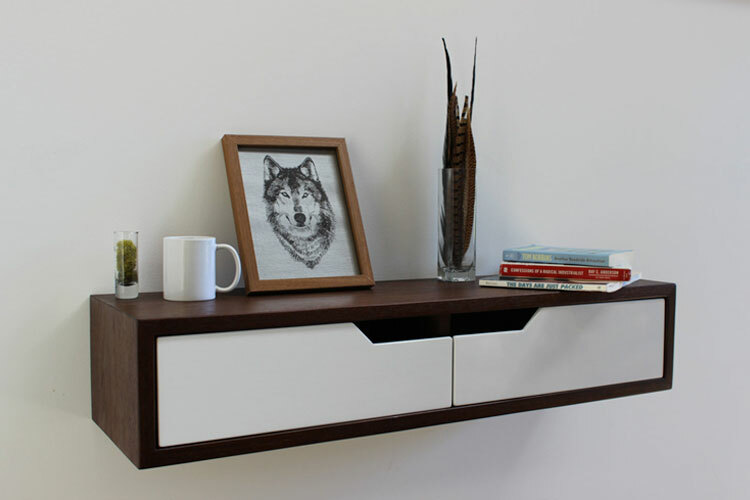 Portland designer, Chaz Gibbons, crafts beautiful, mid-Century modern inspired furniture for an incredibly affordable price. Using responsibly harvested woods, such as walnut and bamboo, each piece is shows great craftsmanship. An example of Gibbons’ craft can be seen in the matching of top and sides to ensure a continuous wraparound grain, this extra step is not necessary, but makes for an even more beautiful piece. The Imago Furniture collection is mostly comprised of floating pieces, such as night stands, desks, and shelving, which give a sleek modern look. Furniture, and custom work, is available through Gibbons’ Etsy store, Imago Furniture. Thanks for the comment. Love your work.